What Do Google’s Different Birds Mean? For the longest time, Google has been the most popular search engine on the Internet. More people use Google whenever they need to search for something online and this has been recognized by a lot of website owners by aiming to reach the top of search engine results. This brought about search engine optimization or SEO for websites, which is simply the process of making your website search engine-friendly so that you get listed among the top search results for your targeted keywords. On Google’s part, the aim is to provide the most relevant search results to its users and Google does this by continually updating its search algorithm. The three latest Google releases are named after birds and they all target various aspects in SEO. Whether you provide SEO consulting services or are just a regular website owner, knowing about what these Google birds are will help you get a better idea of the kind of SEO in the Philippines and everywhere else that everyone should be aiming for. This Google update was initially released in February 2011 and then several updates were released over the next months and the following year. The Panda aims to push up high quality websites and to filter out websites that have duplicate and low quality content. The Google Panda heralded the decrease in importance of old ranking factors such as PageRank. The most recent Panda update was rolled out last July 2013. 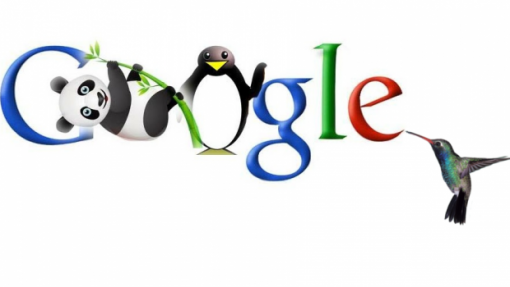 The next Google bird to take flight is the Penguin, first announced in April 2012. The targets of this update are websites that resort to black hat SEO tactics especially to get links from other websites. Aside from this, Google intended to penalize websites that violate their Webmaster Guidelines. The last Penguin update was released on October 2013. This latest Google bird rolled out a month before it was announced on September 2013. According to Google, the Hummingbird is not a mere update but a totally new algorithm altogether. The Hummingbird aims to be more human-friendly in terms of searches, which means that instead of handling searches by keywords or a just a few words, searches can now be done with naturally-worded questions. All of the Google birds discussed above prove that there is no single or simple way that websites are ranked in search results. PageRank continues to be used; the Hummingbird, particularly, looks at this along with other factors. Google’s search algorithms have become more complicated over the years but the goal remains thess same – to provide relevant and high quality search results to users.